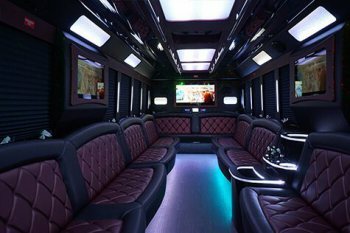 There are so many exciting things for groups to do in Flint, Genesee County, and the cities that surround it, so next time you find yourself heading out there with a bunch of your friends, you should definitely consider renting a limo bus from us for your next night out! 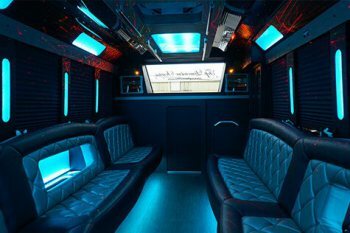 If you love limousine service, you will especially love party bus travel, because it's so much more spacious and luxurious! Forget about trying to squeeze your party into a cramped limousine -- just hire our huge party buses and relax! Whether you're planning a subdued daytime trip to some of your favorite destinations in the Flint area, or a wild nighttime pub and nightclub hopping adventure, Flint Party Bus is here to take you! We handle private personal parties or a corporate event with ease, and whether you've got a small group of friends or a massive guest list, we can accommodate you easily in one or more of our vehicles. 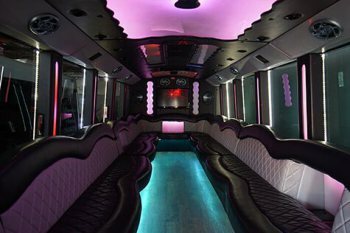 For a wedding, bachelor and bachelorette parties, and other special days, you cannot do better than to book party bus travel with our limousine company, Flint Party Bus! We'd love for you to come down and take a look at our limo buses, town car limos, stretch limo suvs, or you can just browse the site to find out as much information as you need before you give us a call to get a reservation quote with no hassle. It's up to you whether you want to take a hands-on approach with planning your trip, or if you want our courteous booking staff to take care of everything for you from the get go with the utmost of professionalism. We can't wait to hear from you, so enjoy browsing the site and planning your next trips and when you're ready to call or email us, you can find our contact information at the top of the page, or right here. Thanks for visiting our luxury limo, suv, and bus service! If we missed anything that you were wondering about, please don't hesitate to contact us! Our company exists to serve your needs in style to make any large group outting a special occasion, and when you are traveling in and around Flint, Michigan, we want to make your trip a memorable and exciting one for all occasions. No one else has the amenities that exceed expectation like we do with our large flat screen TV set ups that we offer, with DVD/Blu-Ray players for you to enjoy while you're on the road, and HD antennas for live broadcasts when the bus is not in motion. We also feature premier high quality 1400 watt sound system for those who enjoy their music at audiophile quality, plus tons of JL audio subwoofers for bass, we are the party makers. Our buses feature dark tinted windows for your complete privacy on the road, and the plush leather seating in our buses is supremely comfortable and luxurious. We look forward to serving you, and truly appreciate your business. 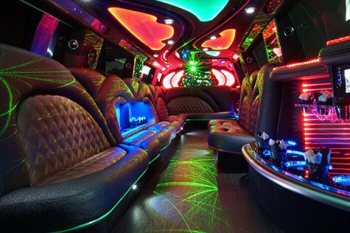 If you need any service outside of the Flint area we can recommend Lansing Party Bus, Lansing Limousine, Ann Arbor Limousine, Detroit Party Bus, and Detroit Limousine. We're so thrilled that you're considering us for your upcoming event! Whatever it is that you are planning in the next several weeks or months, we've got the group transportation that is ideal for that outing from the time we pick you up until you arrive at your destination all the way until we drop off at the end of your special day on the town. Our chauffeurs are the most professional around and they will get you wherever you're going safely and on time. We've got a such a huge selection of luxury vehicles for you to pour over and you can take a look at our featured ones right here on the site and call us, or if you prefer, you can come down and visit us in person to get an unforgettable up-close view! We just know you will find the one that is the ride that is the hottest you won't be able to resist. Our vehicles are not only classy so you can travel in style but they are also well maintained because dependability is a must. It's super easy to get a price quote from us too! Literally all you have to do is pick up the phone and answer a couple of questions. Nothing personal will be asked, no personal info at all, so if you choose not to do business with us, no information will be saved. To be clear, even when you do choose us, we will never rent, sell, or give your information away. But we keep it really minimal in the booking process because we know everyone these days is paranoid about privacy, and with good reason. Your information is safe with us! By just telling us the date of your event and the pickup and dropoff locations, we'll be able to provide you with a price quote instantly over the phone! It's that simple. Again, there's no limit to the types of events that are so well suited to party bus travel. We love hitting the road for your birthday parties, anniversary parties, bachelor parties, bachelorette parties, weddings, sporting events, graduation parties, prom nights, homecomings, sweet sixteen parties, or nights out "just because!" Wherever you're headed, it'll be that much more amazing with us, and you'll fall in love with our city streets all over again when you're not the one who has to do the driving! No navigation worries, no traffic concerns, no struggling to find a parking. You'll be dropped off and picked back up right at the door like a VIP! Live that life and enjoy the glam with us! If you're not sure if we travel to the area that you're looking to travel to, why don't you go ahead and take a look at our service area right here on the site? That's a list of our most frequently visited cities, but not necessarily a hard and fast rule, so if you don't happen to see your city on the list, just give us a call and we'll work it out. We're really looking forward to doing business with you and providing the most incredible party bus experience that you have ever had. One quick phone call and all this can be yours! Pick up the phone, dial our digits, and let's get this party started! Your chariot awaits and the time of your life is yours for the taking.